Adam Knox shares his experiences and lessons from pro surfing and working as a surf coach. Matt goes into detail of the feeling of surfing, the challenges and rewards of surfing blind. Matt’s surfing advice is simple, profound & wise. Scott and I discuss our relationships to the ocean & surfing, try to define what a surfer is, and if we even want to be be labeled as one. Is surfing an addiction? Can it be a ‘positive addiction’? Is your surfing guilt-free? How important is surfing to you? Has surfing lost it’s ‘cool’? Are you the master of your surfing? Or is surfing the master of you? 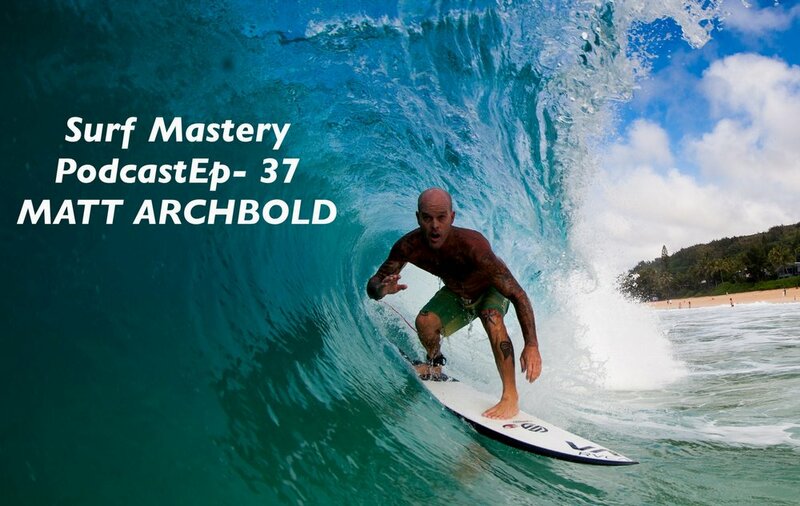 035: DAVID HALL - Posture - How to sit on a surfboard. David Hall is a Feldenkrais Practitioner and Alexander Technique teacher on the northern beaches NSW. David talks about the method, posture, movement, grace, and finishes with an ATM lesson. 034: ROB BAIN - Former World Tour Pro-Surfer. Rob Bain pro surfer from Manly Beach, AUS. Rob was ranked No. 5 in 1990 and finished in the top 10 ‘88-’91, won 4 events and even came 3rd at ‘93 longboard champs. He talks about what drove him to be one of the best, how he learnt to relax and focus in high pressure situations. Memories from his 3rd place in ‘93 Long Board champs and lessons from how riding other boards can help your short-boarding. Rob also weighs in on the state of surf coaching and individual style, surfboard choice among intermediate surfers. How to deal with the transition from being a ‘surfer’ to a ‘worker’ in the surf industry. He also talks about how he recovered form an horrific surfing accident in 2009, and what he learnt form the experience. His thoughts on mindset, rhythm, flow state, the zone, being in the moment and longevity of performance. And stories from some of his surfing highlights. An inspiring icon of Australian surfing. Rob rides Simon Anderson boards and wears O’Neil wetsuits. In this episode: What is Style? Why Surfers are the WORST. The origin of surf podcasting, is surfing a sport? Why do we surf? + More. Are you the master of your surfing or is surfing your master? In the Taylor Knox episode we touched on the feeling of surfing, in this episode we dive at lot deeper into the 'feeling' of surfing, and how Kelee Meditation can enhance the feeling of surfing, and the quality of your life.